Short Synopsis of the Story: One moonlit winter night, long past the little girl’s usual bedtime, a girl and her father embark on a special expedition into the deep woods. They trudge through the white snow. The only sounds are that of the winter night: a train whistle, a dog answering the train with a howl. You have to be as quiet as you can when you go owling. The owling expedition has been a long time in coming and the little girl is excited to at last have the chance to go on this adventure with her father. Pa reaches a spot in the woods and mimics the call of a Great Horned Owl. Pa calls many times and is not rewarded with an answer. The little girl’s brothers have forewarned her of the possibility of not spotting an owl so she is not unduly disappointed. The girl’s face becomes icy with cold but she doesn’t complain. They move deeper and deeper into the forest, into the depths of the dark trees until they come to a clearing. Pa mimics the owl’s call once again and this time there is a response through the trees. Pa and the little girl smile with anticipation and the owl moves closer until Pa shines his torchlight on the owl’s face just as it is about to land on a branch. For what seems like an eternity the owl, Pa and the little girl hold each other in a long stare. Then the owl lifts its great wings and disappears into the night. The girl and her Pa, walk home with lifted spirits and the knowledge that you don’t need warmth or words to go owling. All you need is a night with an Owl Moon and a heart full of hope. 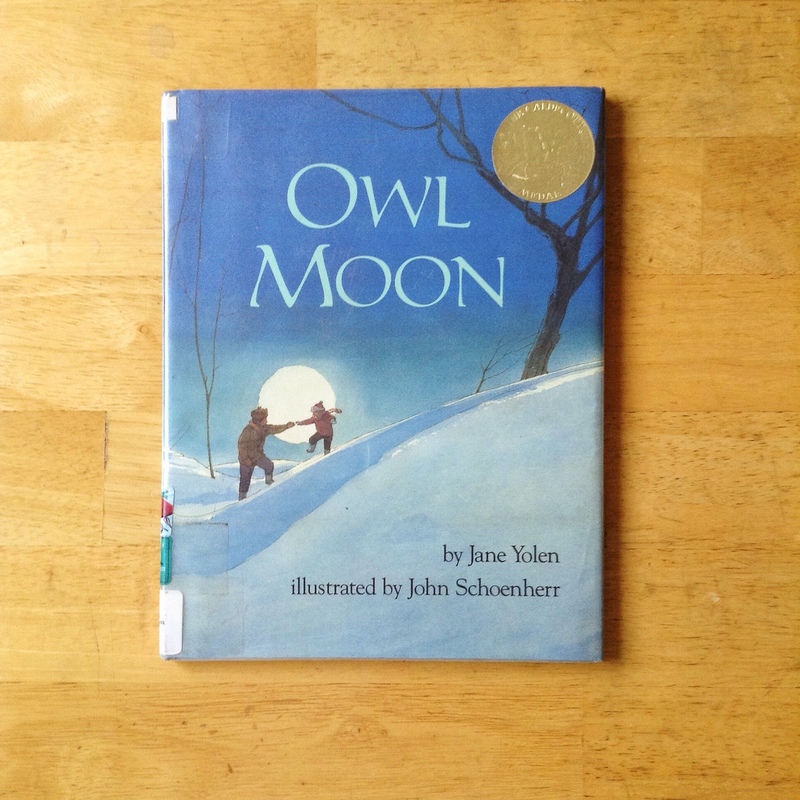 Favorite Part of the Story: Author of the story Jane Yolen, had three small children who frequently went owling with their father, David Stemple in the wintry woods surrounding their rural Massachusetts home. The illustrator, John Schoenherr fills the pages with vivid, evocative images that pair with the simple, beautiful writing perfectly. Some of the scenes and landmarks in the book are taken from Schoenherr’s personal experiences walking with his children around the Schoenherr farm. Owl Moon is an unforgettable book to read with your children, particularly on a cold, wintry night. It is filled with a great spirit of adventure that both adults and children will find heartwarming. ← September 2015 Favourites : Books, Audiobooks, Bookish Blogposts, Movies, Library Hauls and Much More.